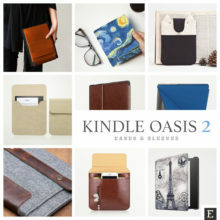 Covers, cases, sleeves and accessories for iPad, Kobo, Nook, Samsung, and Kindle. 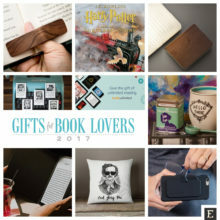 A holiday gift guide for anyone who wants to find a gift for the book lover. 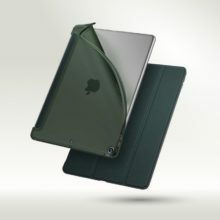 Books, special book editions, subscriptions, personal accessories, jewelry, home decor, and more. 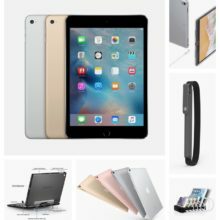 A list of the best Amazon deals on Apple iPad tablets, case covers, and accessories offered for Black Friday and Cyber Monday 2017. 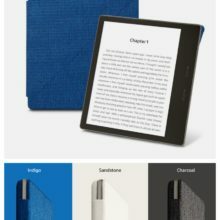 Here are case elegant but affordable covers and sleeves designed by third-party producers to fit Kindle Oasis e-reader (second generation, released in 2017). 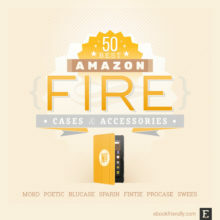 They are a great alternative to the original Amazon Origami stand case. 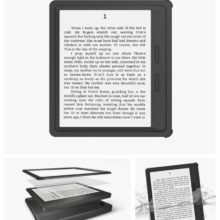 Most users are disappointed with how the stand and magnets work in the original Amazon case for the 2017 Kindle Oasis e-reader. 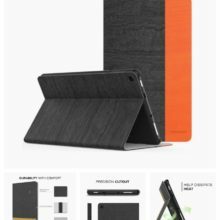 These Amazon Fire HD 10 case covers from MoKo are worth considering: classic book-style stand cover, heavy-duty case, tri-fold slim cover, shockproof folio stand case. A heavy-duty case for the 1st-generation Kindle Oasis meets IP67 water resistance standard and costs only $15. 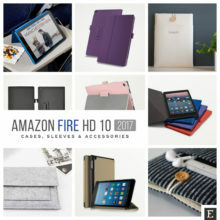 A list of the best case covers and accessories for Amazon Kindle Fire tablets: Fire HD 8 (2018) Fire 7, Fire HD 10, and older models. 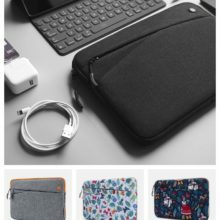 Plus a selection of the best accessories: power chargers, screen protectors, stands, and more. 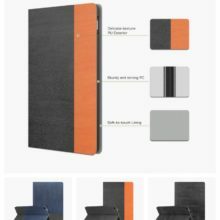 All-new Amazon Fire HD 10 (2017) cases, sleeves, and accessories you can already get. The list is frequently updated with new items.